What and how do we template? Templating is required to ensure that fabricated items will accurately fit into the area allocated for them. At this stage we have the opportunity to discuss and offer advice to our customers. in turn reducing the inconvenience to the customer. 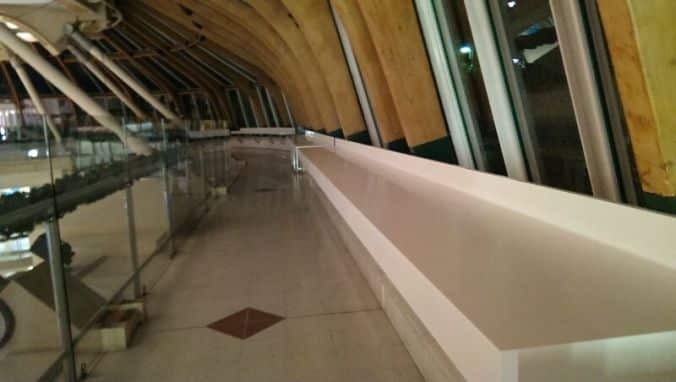 Whichever solid surface material you choose, be this Corian, Hi Macs, Staron, Hanex, Durat, Avonite and Tristone or one of the other major brands of Solid Surface, BSF’s templating procedure will remain the same, deploying the best equipment or techniques for the job. Depending on the project we will either use a Prodim to digitally template the area, a Laser, or indeed hardboard combined with a tape measure – all to ensure what is required, and what is installed match completely! Once we have surveyed a job, we will transfer the information collated and produce a drawing, which the client then reviews and either makes changes, or signs to indicate their acceptance that our interpretation of their requirements is correct. This is then issued to our Works Manager for production. PrevPreviousWhy use an Approved Fabricator of Solid Surface?